So you’ve decided to have a Dalmatian as part of the family. What direction are you going to take with training? 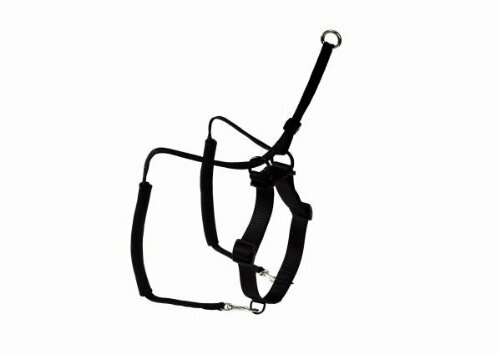 If you’re going down the welfare route, and taking on a Dalmatian that has been in a previous home(s), the best solution is to strip the training right back to basics, as if you’ve taken on a puppy. As explained before, a lot of dogs will end up in rescue or welfare before they have reached full maturity, because people feel they have taken on too much, or that a Dalmatian is “untrainable”! The reality is, that the foundation was not put in place when the decision was made to have one. Socialisation is paramount for any dog, they are social creatures, but they need the right experiences from the start. Socialisation isn’t just about meeting other dogs, it’s about meeting people, being slowly acclimatised to different environments, sights, sounds, smells. This all takes time, and must be done at a slow and steady pace. This is especially true when introducing them to other dogs. The world is a scary place for puppies, who have recently left the litter and their mum. Choosing appropriate playmates, in order to learn the right social skills, and have positive experiences, is so important. Unfortunately, there is no guarantee that any of this has been done correctly, if at all, and the dog that was so highly sought after, sadly ends up being discarded, and in need of someone else to care for them. All of this is a very stressful experience for any dog, and Dalmatians are a very sensitive breed, so it’s paramount to make sure that the new home you have chosen to give them, is a very loving and patient one. That’s not to say that the dog you choose won’t slot into it’s new life easily, but it pays to err on the side of caution, and start from scratch, in order to build a great relationship with your new family member. Give them time to settle in, and get used to all other family members, with slow introductions, not expecting too much of them. It’s the old adage that “less is more”. They can be incredibly insecure so let them find their own way around, with little interference. Don’t worry about taking them out for walks for the first few days, let them get used to the garden. You can scatter feed their meals (if feeding kibble) around the garden, to encourage them to use their nose to sniff the food out. This will have a lovely calming effect on them. If you don’t feed kibble, hide treats around the garden, so they can seek them out. If you already have another dog(s) in the household, introduce them to each other slowly, out in the garden, so they have plenty of space to get used to one another. Training can wait for a while, if your new addition is feeling overwhelmed with everything, it will be difficult for them to focus on learning new things. It’s a good idea to seek advice from a trainer/behaviourist when you’ve made the decision to adopt. Even if you have previous experience of dogs, or Dalmatians, each dog is different, and complex, so having a plan in place is really useful. When you do begin a training programme, make sure it’s positive reinforcement only. Research about dogs, their brains, and how best they learn, has changed remarkably over the years. Gone are the days of dominance theories, and comparisons with wolves (the ones that were studied, were captive bred, so the information gathered wasn’t relevant to domesticated dogs). There are many trainers and classes around that embrace a more holistic approach to teaching, so look around, and see which one suits your needs the most. 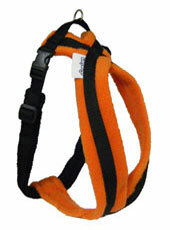 The first things to focus on are a good recall, and loose lead training. Dalmatians are renowned for pulling on a lead, so this can be quite a time consuming issue to tackle. Always do it when you have time to devote, and are in the right frame of mind, as frustration can get in the way, and spoil the whole training experience. Dalmatians are big, strong dogs, so ensure you have the right equipment. 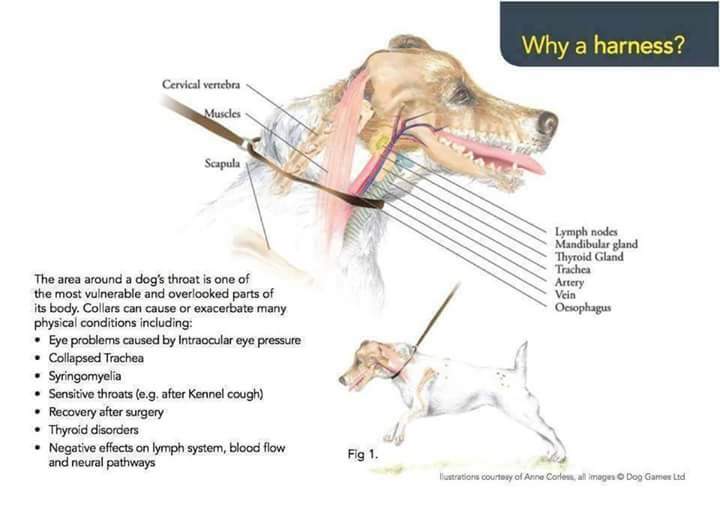 A collar and lead aren’t sufficient, as constant pulling around their neck could have serious physical implications. 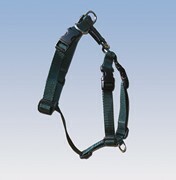 A long lead (around 3 to 5 metres), and a well fitting harness are the best tools for you.